Shannon Coleman Egle's extensive legal knowledge, coupled with a practical and responsive approach, allows her to help her clients achieve their business goals, which ultimately results in their businesses operating more smoothly and profitably. Her practice areas include healthcare regulation and transactions, general business consulting and transactions, as well as real estate acquisition and development and representation of individuals in civil tax controversies. She represents hospitals, physician organizations, individual physicians, physician practice management companies, and a host of other business and professional entities, as well as individuals. 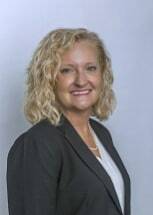 Ms. Coleman Egle devotes the time required to fully understand her clients' businesses, the personalities of the players within their businesses, the specific industries involved, and the rules governing their businesses. She individually tailors her counsel to work within each client's business framework and helps her clients develop solutions to issues that arise day-to-day or within a particular transaction.